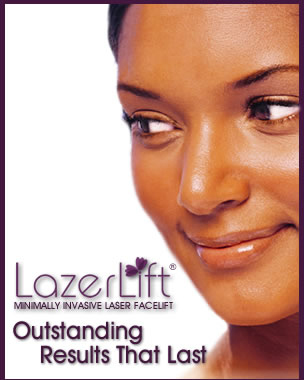 LazerLift®’s sophisticated laser technology enables us to take an exciting new approach to facial rejuvenation. Rather than relying on the surgical scalpel to cut, tighten, and suture the way to a younger-looking you, LazerLift® uses the power of highly advanced laser energy. With LazerLift®, you can reduce the signs of aging without the need for invasive incisions, extended downtime, and lasting scars. 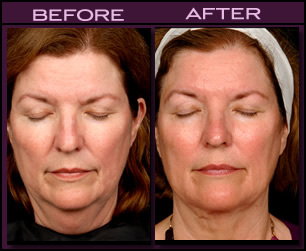 LazerLift® is a safe, effective, and minimally invasive procedure that can tighten, lift, and rejuvenate your face, helping you to regain the graceful and elegant contours of your youth. 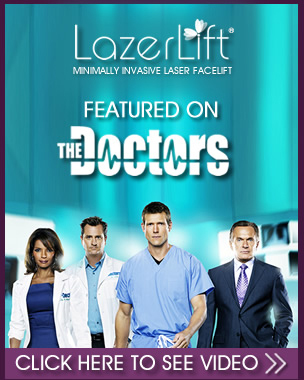 Your LazerLift® physician will be happy to meet with you to discuss what you can expect before, during, and after your procedure. He or she will customize a plan to meet your specific goals and answer any questions that you may have. 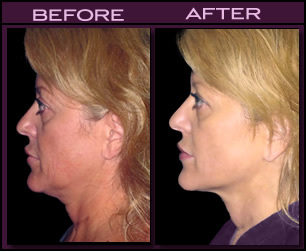 Call now to make an appointment and start your LazerLift® journey today.